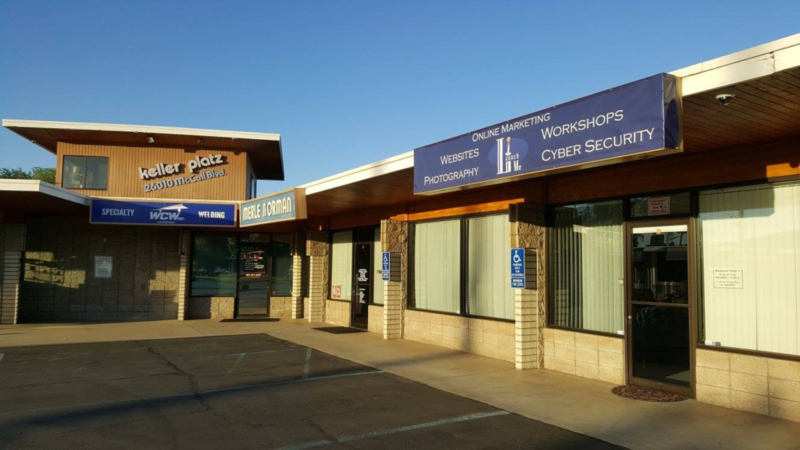 The New Launch Me Technologies Offices in Menifee, CA – Please Visit Us! When we started LaunchMe.com almost 20 years ago, it was with a simple goal in mind: to provide reasonably-priced, high-quality website design, development, and digital marketing and related services to those who needed them most but had the hardest time finding them. To put it another way, we help you Launch Your Business to new heights! Since those early days, our clients have come to rely on us as the digital marketing resource they can trust to complete even their most challenging projects honestly, ethically, on time, and on budget. With a solid background in website design, software and web development, database management, digital marketing, cybersecurity, photography and videography, today’s Launch Me Technologies has the expertise and experience to provide the results you’re looking for at a price you can afford. Unlike many of our competitors, our goal is not to make ourselves rich at your expense, but to base our success on helping you succeed. Let us show you how different we really are! We can help you with website and WordPress design & development, maintenance, upgrades (including to the new Gutenberg editor when it is released in WordPress 5.0), web hosting, plugin and/or theme installation and updates as well as many other tasks. We also specialize in website security / cybersecurity, TLS / SSL certificate sales, installation and support, website backups, hacking prevention and recovery, database maintenance & support, all aspects of online marketing and social media marketing, and blogging. We offer a full range of photography and videography services (we even have our own in-house photo / video studio). We can provide onsite, on-location, in-home, or in-studio photo or video shoots, professional headshots and portraits, YouTube video and video blog production (vlogging), and just about anything else you can think of. We also provide complete website photography and videography, including our own stock photo library. At our storefront in Menifee, CA (almost exactly halfway between Los Angeles and San Diego, just north of Temecula Wine Country) we offer extensive training and workshops in many of the products and services listed above. If you happen to be in Southern California, we can even come to you and help organize a training or workshop event. For our national and international clients, we can produce online training webinars and related services. We’ve been providing photography-related services since the 1970s and web-related services since the 1990s, so we know our industries very well. If we can’t help you directly, we can probably help you find a qualified professional who can. So why not get in touch with us today and join the rapidly-growing list of people and businesses who rely on our high standards of quality and professionalism to launch them to new heights of success!